Our rooms are mainly En-suite doubles, family rooms and apartments plus two rooms with disabled facilities. A separate block of ‘budget’ non-ensuites is available and has 9 doubles and one single room. All overnight guests have a complimentary full cooked breakfast available to them in our function room. All guests staying in an En - Suite Room have a Full Cooked breakfast at no addition cost. 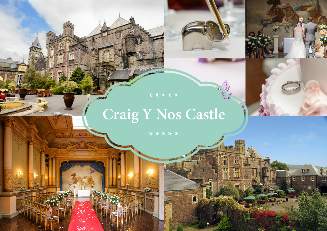 If you are planning on staying at Craig Y Nos Castle on more than 1 occasion in a year, or you are having an certain Events combined with Accommodation, joining our Members Discount Club will give you some excellent deals. If you are staying 2 nights (and are not part of an Event or Wedding) our Discounted Midweek Offers are just £210 for 2 nights B&B for 2 people in a double en suite room - staying Sunday to Thursday. Each additional night is just 50% off the standard daily rate - this means for midweek dates extra nights cost just £70 per night. After your first night’s B&B accommodation at standard rates, your subsequent nights are just 50% B&B for two in a double en-suite. These are based on 2 people sharing an en-suite room with Bed & Breakfast. We have less availability at weekends but 2 nights on a Friday and Saturday (or Thursday & Friday or Saturday & Sunday), when available, would cost just £225 per room: £150 (weekend rate) the first night and £75 for each subsequent night. See here for our discounted rates. “Please note Winter trading B&B only days are Sunday to Wednesday inclusive. Winter Trading Months are October, November, first half of December, and January, February and March. April may also have winter trading days if it is quiet. This means that we do not serve evening meals, unless we have a large number of guests or you are staying as part of an event. However, for 4 night stays in this period we offer 2nd and subsequent nights at just £55 per room - this discount will be applied by Reception on enquiry or booking.